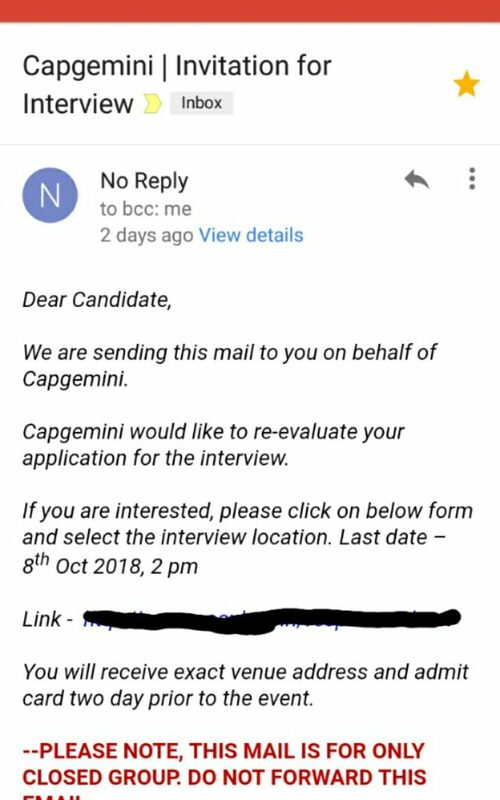 Capgemini Aptitude Questions for Freshers 2018 are of moderate difficulty. But, generally the time is very less for Capgemini quantitative aptitude papers as seen consistently in previous year papers. Below you will find the latest Capgemini quantitative aptitude paper. Also, find Capgemini aptitude questions and answers PDF, Capgemini aptitude test papers with solutions on this page. This Page is just for Capgemini Aptitude Questions if you want to study other sections like English, Essay Writing and Logical etc visit our Capgemini Main Dashboard here. Here you will see the pattern on section wise Capgemini Quantitative Questions Syllabus and how it is distributed over different Patterns. Capgemini is currently hiring for Off Campus Placements visit this page to apply for it. 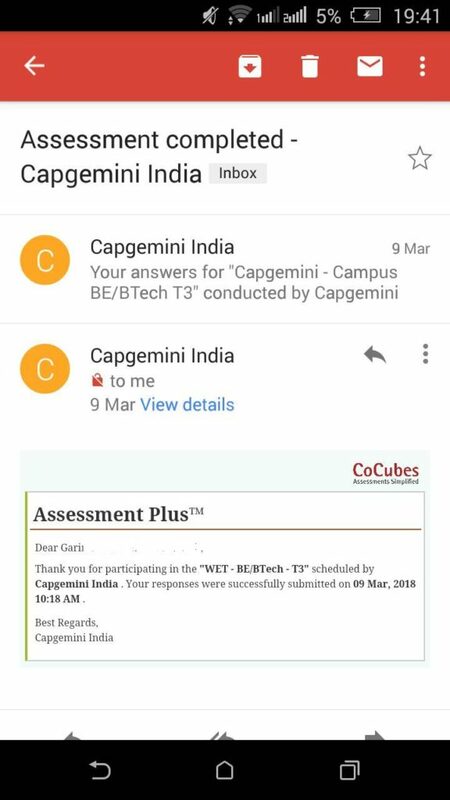 Once you apply you will get a mail like this from CoCubes about your Capgemini test paper details. Comment down your email ID’s and we will refer you for the drive. Ques. What is the level of difficulty for capgemini Quantitative aptitude questions with answers? Ans. Capgemini aptitude papers with answers are of medium difficulty but they are lengthy and most people were unable to solve all questions in a given time in Capgemini Aptitude Questions and Answers PDF. Ques. How much time is needed to prepare for Capgemini Quantitative Questions? Ans. When you are preparing for Aptitude Questions for Capgemini. 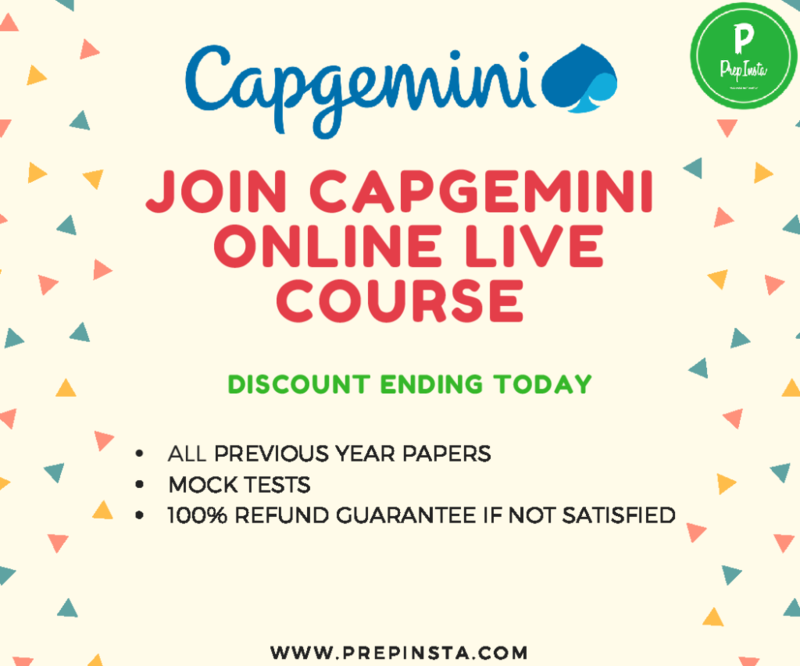 Only for this section you may need 4 days to prepare but there are other sections as well in the exam for which I suggest having atleast 1 week to prepare for Capgemini Aptitude Test Questions and Answers PDF. Recently Capgemini India visited our campus for the on-campus recruitment drive. The student should have secured a minimum of 60% in 10th, 12th. The student should not have any backlogs at the time of joining. The student should not have education gap of more than one year. I fulfilled this criterion, so I was eligible to participate in the drive. Capgemini’s written test was conducted by Cocubes, and it was an online test. This section is standard for all the branches. Quants: There were questions on Data Interpretation, speed, and distance, boat and stream, etc. This section was bit hard because the time limit was 25 minutes and the questions were little tough to solve. Logical reasoning: This was my favorite section as I was able to attend all the questions in given time. Pseudo Code: This section contained questions on C, C++, OOPS concepts, Data Structures & Algorithm. The time limit for this section was 20 minutes. I scored well in this section because my technical skills are strong. Essay writing: This was the last section of the first round. The time limit was 30 minutes. There is no Syllabus, but you must be aware of current topics related to politics, economy, national and international happenings, etc. The sectional and overall cut-off for the test was 70 percentile. 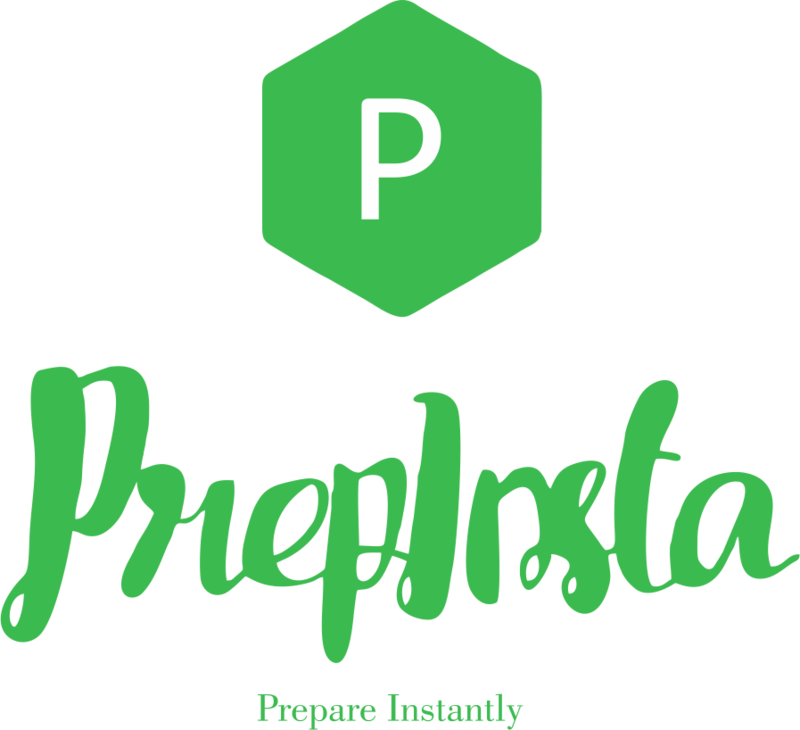 I have prepared from PrepInsta website as they provide interview preparation materials for Capgemini placements. I cleared the cut-off and was called for the second round. In this round, the students were divided into groups, and a topic was assigned. Topics were related to happening in and around you. In this round, the interviewer expected the students to give valid and relevant points. This round was conducted to check our interpersonal skills. I was confident about my selection as I have good communication skills. Eventually, when the result was announced, I was called for the last round. The technical interview was elaborative. The interviewer glanced through my marksheets and started asking questions from every subject. Some in detail and some in an overview fashion. I was asked about the subject that I considered to be my strength. Obviously, a few in-depth questions related to that subject were asked. Then, I was asked about the projects that I had done in the past. I remember he went deep into microcontrollers, signals and system. Is any of your relative associated with the company? How do you feel about working in nights shift? What is your commitment towards the company? Overall the complete experience of the interview was something new for me, and I added more of confidence in me.